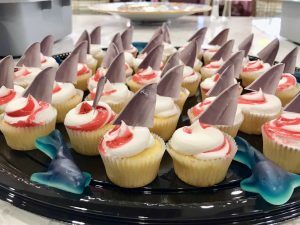 Shark Week is TV programming at Discovery Channel devoted to sharks. It is the longest-running cable television event in history. We could go on and on, but let’s not focus away from all the fun our residents are having at the community. 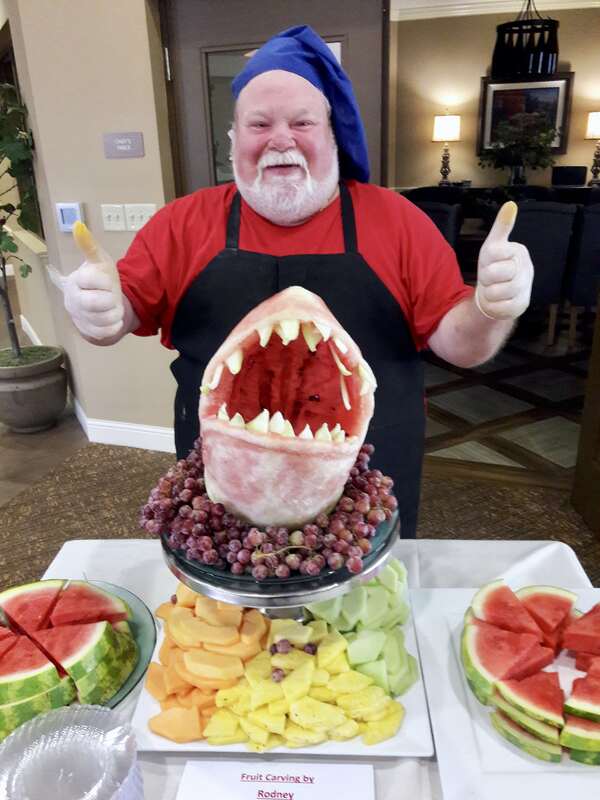 We are fully immersed in shark-themed activities! 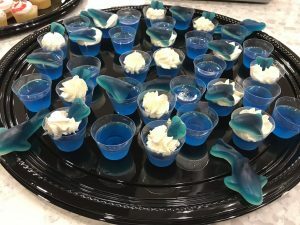 Shark-themed Jell-O shots and shark fin cupcakes. 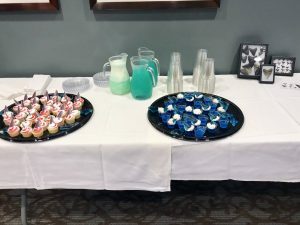 We have great residents, delicious food, engaging activities and so much more. Anyone or anything will be envious. Even the Shark wants a “bite” of the action! Don’t underestimate the “size” of fun at Tuscan Gardens! View it yourself but proceed with caution. Social lives thrive at Tuscan Gardens as residents gather to enjoy happy hours, card games, trivia challenges and other signature activities that foster friendships and make memories. Your loved one deserves to have it all. At Tuscan Gardens, they do.